Nissan SA launches R3 billion investment in latest Navara model - SABC News - Breaking news, special reports, world, business, sport coverage of all South African current events. Africa's news leader. Nissan says the investment could result in a further 30 000 units to the company's current annual production of 35 000 units. Nissan South Africa on Wednesday formally launched a R3 billion investment in the manufacture of the latest Navara model. Celebrating the investment announcement at its main factory, north of Pretoria, the company said the investment could result in a further 30 000 units to the company’s current annual production of 35 000 units. Ramaphosa was ferried around Nissan’s motor plan in Rosslyn, north of Pretoria. Already, the car manufacturer exports vehicles produced in South Africa to over 45 countries around the world and says with the additional capacity that will be created, there’s potential for that number to grow. In line with government’s strategic objectives for the sector to grow, it has every confidence in making its latest investment. Vice President and Chairperson of Nissan Africa, Peymen Kargar, says that the company is confident in its skills and competency. As a result of the investment, Nissan plans to make available an incubation hub, which will help to facilitate up to 15 previously-disadvantaged small businesses working in the car components field to, ultimately, serve directly into Nissan’s manufacturing system. President Ramaphosa has welcomed the investment, sounding almost vindicated by it. Of the R290 million commitments made at the Investment Conference in 2018, R40 billion of that came from the automotive sector, pledged over a period of five years, with Nissan now translating its pledge into reality. The President described the automotive sector as a crucial element in the country’s bid to re-industrialise. 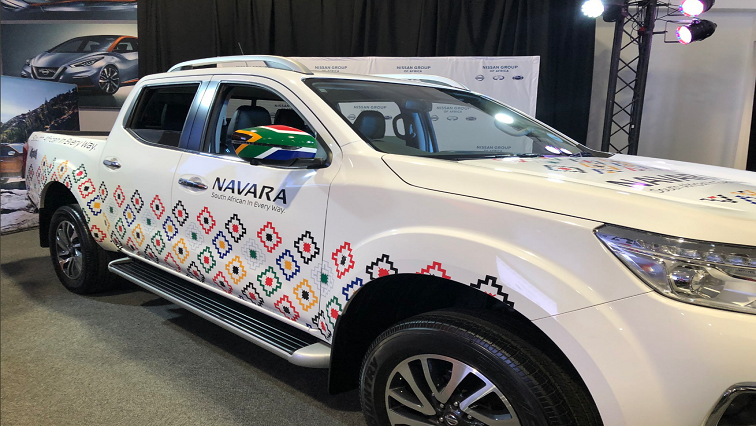 The company says in its first year of production of the new Navara pick up, it will source 38% of local content, which will rise to 48% the following year, with the ultimate goal of ensuring that it reaches 60% local content – which indicates more boosting of local business and with that, more jobs. This entry was posted on 10 Apr 2019,03:51PM at 3:51 PM and is filed under Business, News, Homepage Featured Story Slider. You can follow any responses to this entry through the RSS 2.0 feed. Both comments and pings are currently closed.